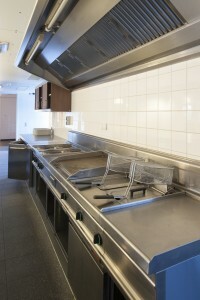 If you’re a commercial kitchen manager, you may not fully understand the importance of making sure your kitchen exhaust system is completely clean. You have so many highly important priorities constantly on your mind, and your kitchen exhaust system may escape your notice. But your kitchen exhaust system is one of the key elements that keep your commercial kitchen working efficiently and safely. But properly maintaining your kitchen exhaust system is extremely important because a dirty one can be a real fire hazard. The purpose of a kitchen exhaust system is to remove hot air, odors, and vaporized grease, which is naturally released into the air during the cooking process. Not only will a dirty kitchen exhaust system fail to work efficiently, it can also dramatically increase the risk of flash fires in your exhaust ducts. If a fire does happen, the fire department will be called, causing embarrassment for the restaurant’s reputation and a huge interruption to the business day. DIY commercial kitchen exhaust system cleaning? However, you may be thinking, well, can’t I just handle my kitchen exhaust cleaning needs? Do I really need a certified kitchen exhaust cleaner to handle it for me? The short answer is yes. Only certified kitchen exhaust cleaners have the proper training and equipment to ensure your kitchen exhaust system stays up to code and fire-free. Flue Steam is an IKECA (International Kitchen Exhaust Cleaning Association) member company that’s dedicated to providing high quality kitchen exhaust cleaning services to commercial kitchens all across Southern California. Our cleaners explicitly follow the NFPA’s (National Fire Protection Association) 96+ codes and standards for commercial kitchen exhaust cleaning. We can provide regular hand scraping and steam cleaning services for your commercial kitchen exhaust system anywhere in Southern California. We’ll set up a regular date and time that’s most convenient for you, and you won’t have to worry about your kitchen exhaust system’s cleanliness ever again. Flue Steam will handle it completely so you can focus on other things! 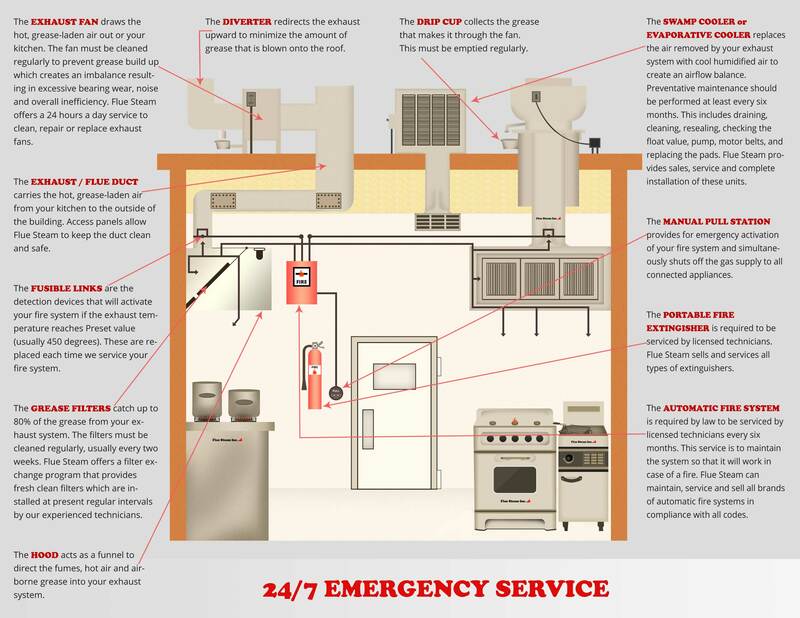 Call Flue Steam at 800-700-FLUE or email contact@fluesteam.com to speak with one of our fire prevention and air control experts about your commercial kitchen’s needs today. We’ve been serving commercial kitchens in Southern California for over 48 years—isn’t it time you joined our crowd of thoroughly satisfied customers? Check one essential item—commercial kitchen exhaust system cleaning—permanently off your list when you establish your partnership with Flue Steam today. You’ll never go back to managing it without Flue Steam again!